MUR (Мистецький український рух; Mystetskyi ukrainskyi rukh [The Artistic Ukrainian Movement]). An artistic-literary organization of Ukrainian émigrés in Europe. 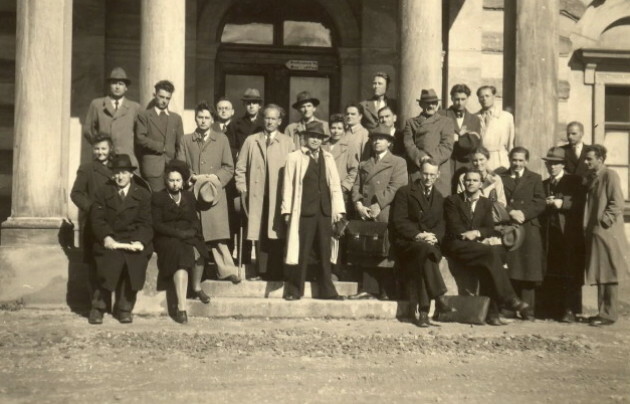 It was founded on 25 September 1945 in Fürth, Germany, on the initiative of a committee consisting of Ivan Bahriany, V. Domontovych (Viktor Petrov), Yurii Kosach, Ihor Kostetsky, Ivan Maistrenko, and Yu. Sherekh (George Yurii Shevelov). 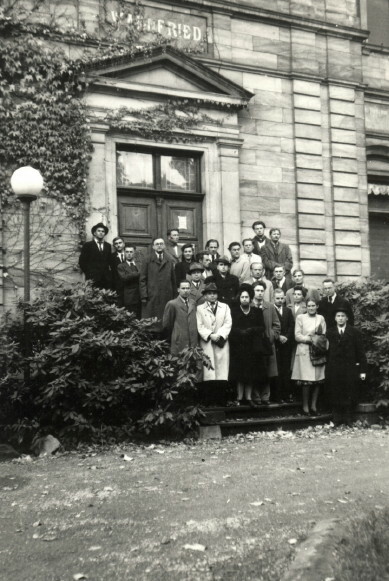 MUR organized three writers' congresses (1945, 1947, and 1948) as well as three conferences devoted to various aspects of literary activity (28–29 January 1946, general theory; 4–5 October 1946, literary criticism; and 5–6 November 1947, drama). The head of the organization during its whole duration was Ulas Samchuk, and its membership (both full and candidate members) numbered 61. The objectives of MUR were to gather Ukrainian writers scattered by the Second World War, to organize the publication of their works, and to become a center, within a comprehensive national ideology, for creative dialogues among members representing various styles and literary aims. MUR played a positive role in that it managed to organize almost all of the noted émigré writers and provide them with a forum for discussion while it stimulated an interest in literature among the public at large. But despite various attempts during the difficult times in postwar Germany, MUR did not succeed at establishing its own printing house or a permanent journal, nor was it really successful in transforming into a united body the writers of various ideologies and disparate Ukrainian backgrounds. 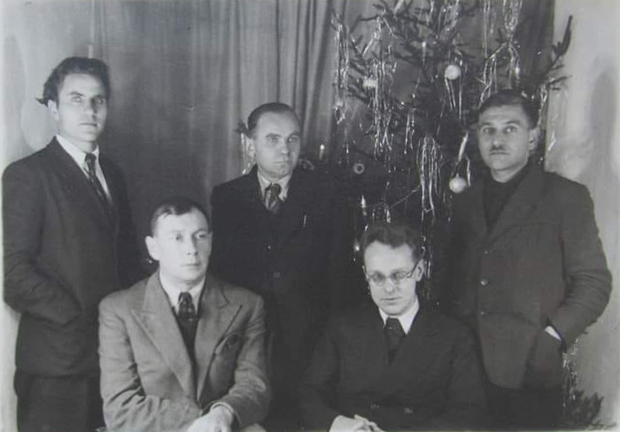 Although there were plans to continue the organization in the New World (see Slovo Association of Ukrainian Writers in Exile), with Ulas Samchuk's departure for Canada in 1948 the organization, for all practical purposes, ceased to exist. Despite its inability to establish a printing house, MUR published three miscellanies (MUR Zbirnyk I, April 1946; MUR Zbirnyk II, September 1946; MUR Zbirnyk III, early 1947), one almanac (MUR Al’manakh, late 1946), and several editions of the series Mala biblioteka MUR-u. It also formed its own publishing firm, Zolota Brama, whose name was used by many of the member authors to show sponsorship of MUR. Some books of Ivan Bahriany, Vasyl Barka, V. Domontovych (Viktor Petrov), Dokiia Humenna, Yurii Klen, Yurii Kosach, Ihor Kostetsky, Bohdan Kravtsiv, Teodosii Osmachka, Ulas Samchuk, Yar Slavutych, Sofiia Parfanovych, and other writers appeared with that imprint.